"There are some mistakes that are commonly made that can cost you dearly if you don't take steps to avoid them"
Deciding which motorhome or RV to buy often is only part of the buying process at hand. Actually, more money can be lost on making the financing arrangements than almost anywhere else in the deal. 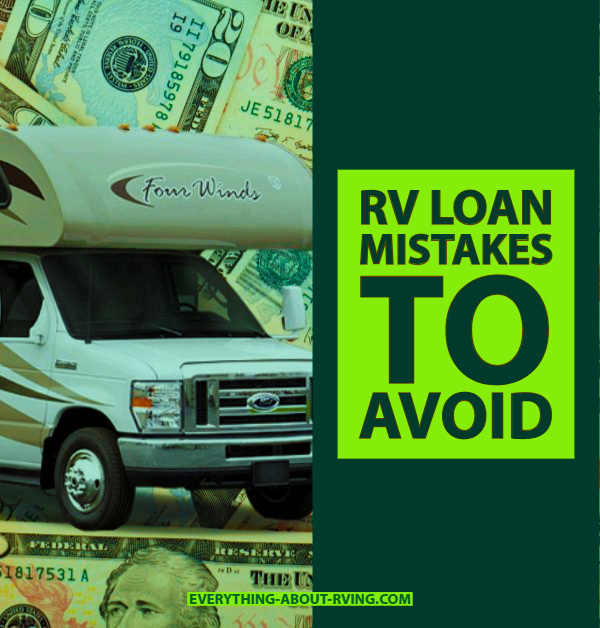 If you have the money to pay cash for a motorhome, then financing isn't even an issue, but with the rising cost of new and even used RVs, motorhome loans are a necessary part of the sale for many. 1. Don't focus on the monthly payment figure alone to determine if you can afford a particular motorhome model. This is often done by car buyers too, but the monthly payment is only part of the whole loan picture. You need to take that monthly payment figure and multiply it by the number of months that the loan contract is in force. Once you have that figure, then compare the final cost of the loan contract with the cost of just buying the rig itself. Usually this will be an eye-opening exercise and can help you see if exorbitant interest is being charged on this loan. If you find that you are paying almost as much in interest as you are for the motorhome itself, you may be better served to either look at something much less expensive, or make different financing arrangements. 2. Avoid any financing that is not a simple interest loan. Lenders have all kinds of tricks up their sleeve to get more money from lending to you and one of the ways that has been most detrimental to consumers is by writing a contract that doesn't allow you to start paying down the principal amount of the loan in any meaningful way until the loan is in it's final stages. It's called front loading the interest and what it means is that most, if not all, of the money that you pay for the first half or so of the loan only goes toward the interest, not the principal. So when you decide to sell, you will still owe them a huge chuck of money and they make a lot more profit with this kind of loan. It's best to avoid any loan that is not based on a simple interest process. In other words, the interest is a set part of the monthly payment from the very first payment all the way through to the end of the loan period. If a lender tells you that you can't qualify for a loan like that, never take their word about that. Always shop around and get other loan quotes on your own. Most often you can come up with a better financing arrangement by doing that anyway. Getting a motorhome loan doesn't have to be costly or mysterious if you just watch what is going on and keep your eye on the bottom line.